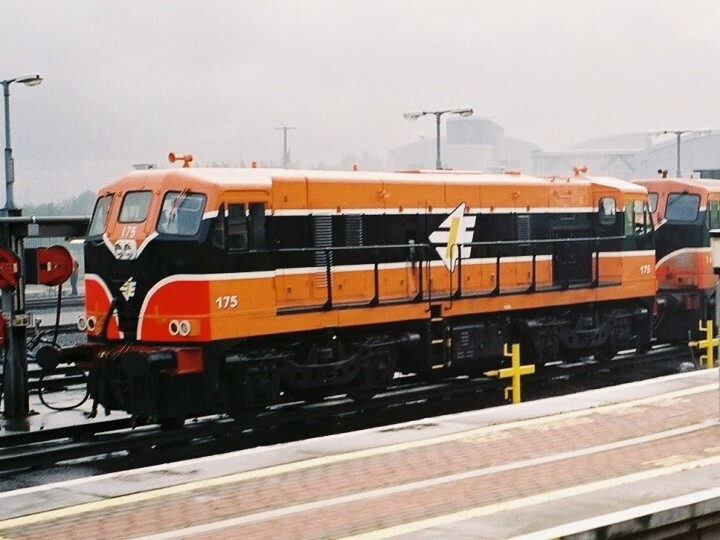 Locomotive 175 was bought for the RPSI by a group of members as part of the strategy to create a mainline heritage diesel fleet. 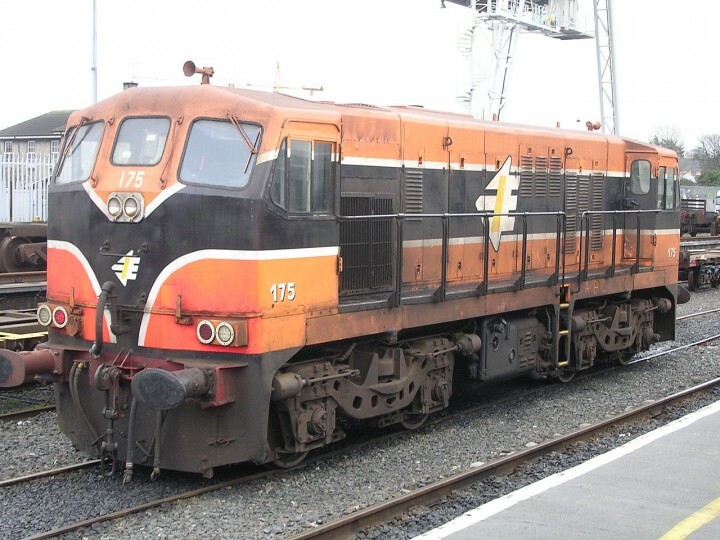 The locomotive was one of the last 141 Class locomotives to remain active in company service ending its days as Inchicore pilot. It was officially withdrawn on 24th February 2010 after its last foray on to the main line with 177 on 9th February on a permanent way train. It continued to be used as the Inchicore pilot until 24th July 2011 when it was stopped due to flat batteries. Purchased by funds raised by RPSI in 2012, it currently is in store in Inchicore. The 15-strong members of the (GL8) 121 class locos of 1961 were intended to solve the motive power crisis then existing on CIÉ. They soon proved to be reliable when not overloaded, problems with poor braking were resolved with later modifications based on experience with the 141 class. The main disadvantage with the 121s was the single end cab, meaning turning at terminal stations, with consequent time delays and maintenance of tables. 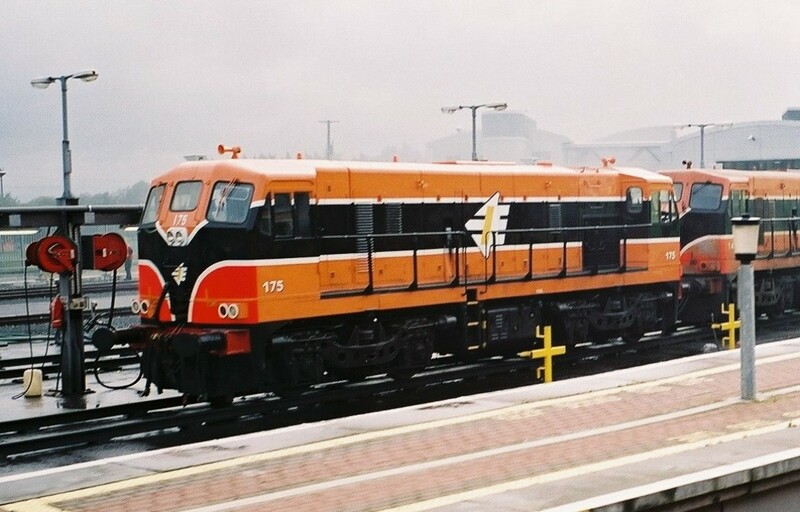 The issue of not being fitted with multiple working was resolved with the introduction of the 141s, the 121 locos were so fitted later in Inchicore. 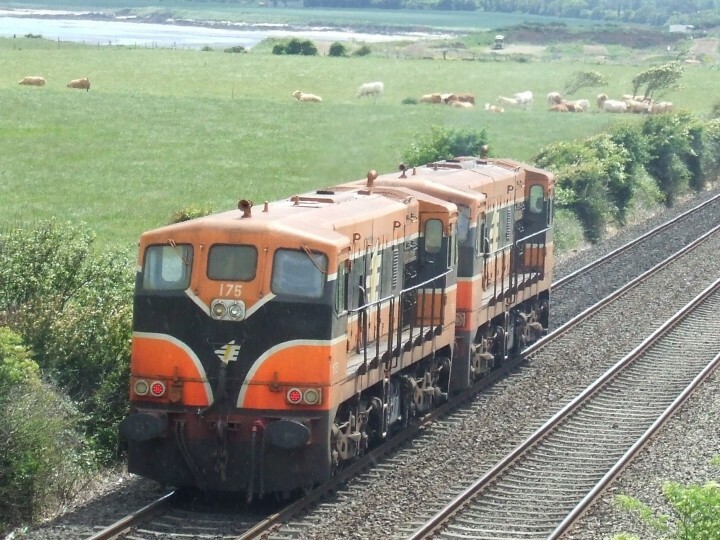 CIÉ announced at an order signing ceremony in June 1962, that a further 37 locomotives were to be obtained from General Motors, this time to be double-cabbed and fitted with improved brakes, and a multiple working facility. The new class was to be GM's type JL8, numbered B141 to B177. The first of the new locomotives was delivered to the North Wall, Dublin on 22nd November 1962, the whole order was completed within 2 weeks. Driver training and trials commenced 2 days later to Hazelhatch, Kildare and Monasterevan, further trials to Drogheda and Arklow took place later the next week and introduction to traffic was on 10th December 1962 on services to Belfast, Cork, and double-headed to Limerick. Route clearance on the UTA was carried out, the only restrictions were, no double-heading over the Lagan "Shaky Bridge" on the Belfast Central line, and members of the class were not permitted on the branch to Coalisland! They did, however, get at least as far as Omagh on the 'Derry Road'. The use of the 141 type on passenger services cascaded the A and C classes to freight services, where the extra weight and power of the A class anyway was much appreciated. There was no real acceleration of passenger trains due to the fact that most stations were still open for business. When 'rationalisation' of smaller stations took place, this coupled with signalling improvements meant that the 141s could start to show just what they could do. A series of speed trials on the Cork main line was planned for January 1965, aiming for a journey time of 2 hours 30 minutes for the 165 miles, but it was soon realised that to achieve this a double-headed pair would have to be "flogged" continuously, which was not acceptable. An alternative 'best' time of 2 hours 45 minutes was preferred, hopefully reducing to 2 hours 40 minutes. Further trials took place in September and October 1966, leading to a timetabled time of 2 hours 50 minutes in the June 1967 timetable. The introduction of the later 181 class in 1967/8 ensured that this schedule was achieved that bit easier. 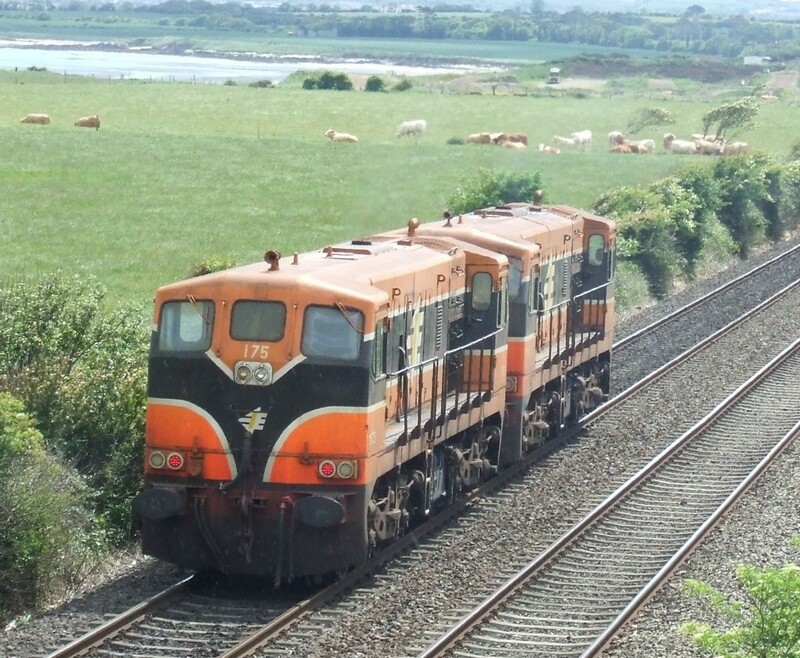 Later the introduction of the 071 class in 1977 cascaded the 141s to all sorts of more menial jobs, they could literally appear anywhere on anything, from passenger work on the Limerick to Nenagh branch, to shale trains between Kilmastulla and Foynes. The Permanent Way Department liked them, they were a favourite on rail trains from Portlaoise, to any part of the system. Many of them got a good coating of cement at Platin or Castlemungret, and they were often to be seen as station pilots at Limerick, Heuston or Connolly.